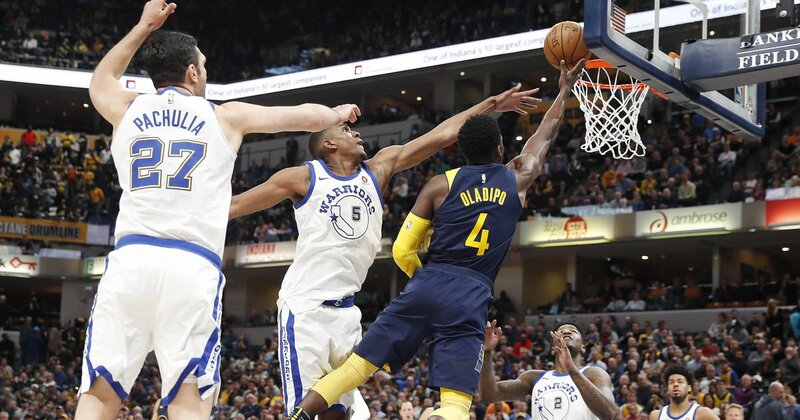 Fans of the Golden State Warriors were probably hoping for a revenge win Thursday night against the Indiana Pacers. When they faced the Pacers a week ago without four of their key players, it was an ugly game that resulted in a win for Indiana. But with three of their four all-stars in the lineup this time, surely things would go their way– right? As it turns out— no, things didn’t go their way. The game started out pretty close, but the Pacers slowly took control of the game. Indiana went on to win by 20-points, 126-106. Having a roster of all-stars is a great thing, except when they all happen to have off nights. Kevin Durant ended up going 8-23 from the floor and 2-10 from three-point range for 27 points. Klay Thompson was well on his way to a decent night with 16 points in the first half. But then he was shut out in the second (6-16 from the floor; 4-9 from three-point range). Draymond Green hit every shot he took, but for some reason, he only attempted three (nine points). Bojan Bogdanovic led the way for the Pacers with 28 points after having an incredible night from the floor (11-13 from the floor; 6-7 from three-point range). Victor Oladipo overcame a slow first half that saw him score just seven points to end the night with 21 (9-17 from the floor). Thaddeus Young had 16 points, and Darren Collison turned in 15. As a team, the Pacers hit an incredible 53.8 percent (50-93) of their shots from the floor and 51.7 percent of their three-pointers (15-29). At first, it looked like the game was going to be a close one. Indiana got out to an 18-11 advantage during the first. But they only led by one, 27-26, heading into the second. Golden State briefly took a small lead early in the second. But then Lance Stephenson hit a 27-foot three-pointer to give the Pacers a 31-30 lead—and they didn’t look back. By the time the end of the first half rolled around, Indiana had an 11-point lead, 62-51. The game was easily within reach for the Warriors, but they were never able to pose a threat. Indiana led by 20 points, 97-77, heading into the third and won by the same margin, 126-106. 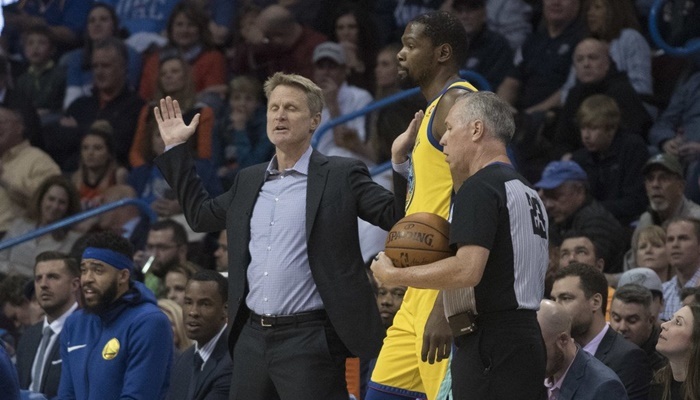 The Warriors will try to get back on the right side of the scoreboard when they face the New Orleans Pelicans Saturday night at home. Indiana will be tasked with taking out another one of the league’s top teams, the Toronto Raptors, Friday night. Pacers fans have to like what they are seeing right about now. The win over the Warriors is their sixth in the last seven games. While the Warriors were still down one all-star, the other three should have been good enough to lead the team to victory. But they were not. If they can keep up this level of play, it is not hard to see the Pacers make some noise in the playoffs. But can they keep it up? As for the Warriors, games like this one are typical when Kevin Durant is your main man. When he goes cold, he goes ice cold. So cold, it almost seems like he cools down other people on the court. It used to happen all the time in the postseason back in Oklahoma City. If he does it in the first round with Steph Curry still healing, it could be an early exit for the Warriors this season.